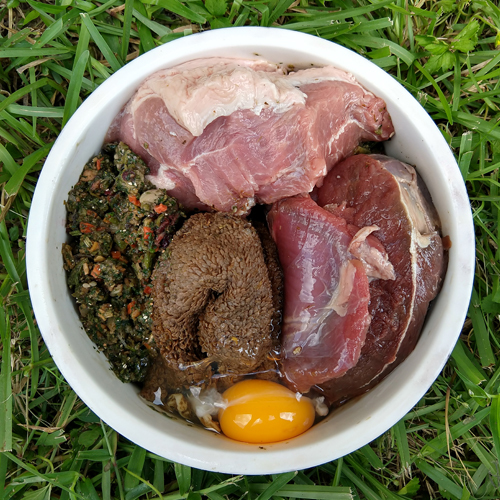 BARF (Biologically Appropriate Raw Food Diet) is an alternative raw diet designed to provide dogs with a modified homemade diet that consists of raw meat and bones, as well as vegetables and fruits while eliminating all processed foods. 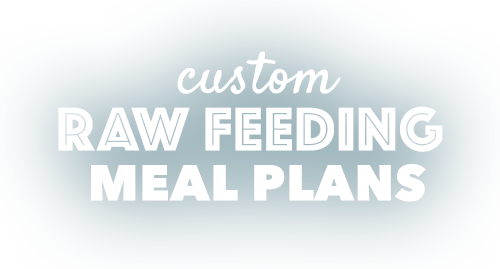 The BARF model diet is the most common and popular raw diet for dogs. A BARF diet can be home prepared with multiple ingredients to provide recommended allowances for essential nutrients. BARF diet feeding ratios are slightly different from PMR diet ratios to include vegetables, seeds, and fruit. 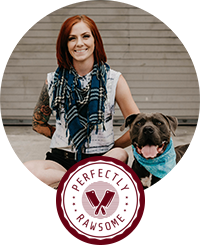 Adding vegetables, seeds, nuts, and fruit to a dog’s diet provides many benefits but prove useful when formulating a complete and balanced raw diet. The recommended guidelines for a BARF diet consists of 70% muscle meat, 10% raw edible bone, 5% liver, 5% other secreting organ, 7% vegetables, 2% seeds or nuts, and 1% fruit. 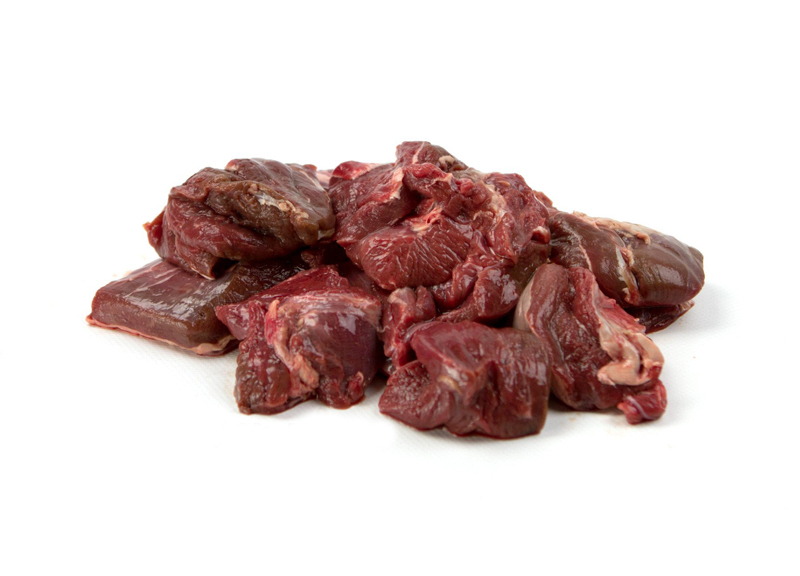 BARF diets consist of raw muscle meat to provide essential protein, amino acids, and water-soluble vitamins. The muscle meat ratio guideline starts at 70% of the overall daily intake. It is important to note the muscle meat ratio does not mean to feed muscle meat exclusively. 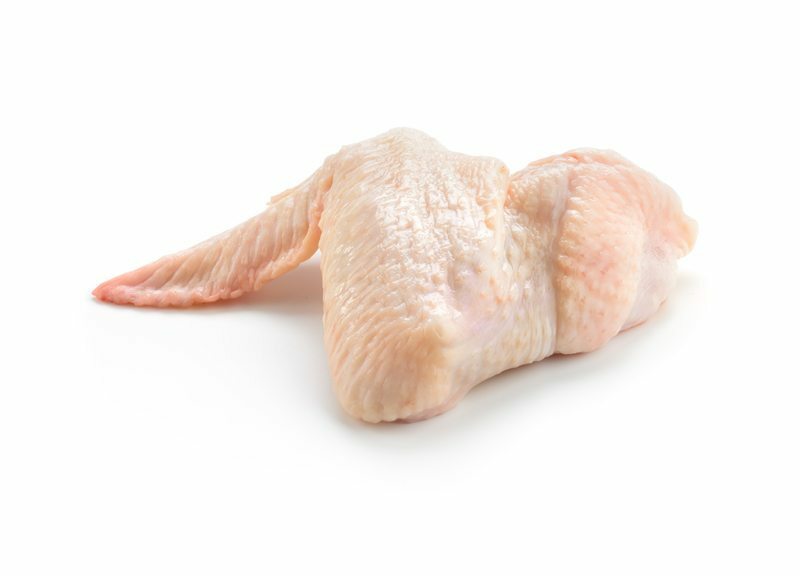 This ratio is a large category containing multiple ingredients such as saturated fat for energy and muscular organs such as heart muscle meat. Soft, raw edible bones are an important component to BARF diets to provide essential calcium, phosphorous, and other essential nutrients. The raw edible bone ratio guideline starts at 10% of the overall daily intake. 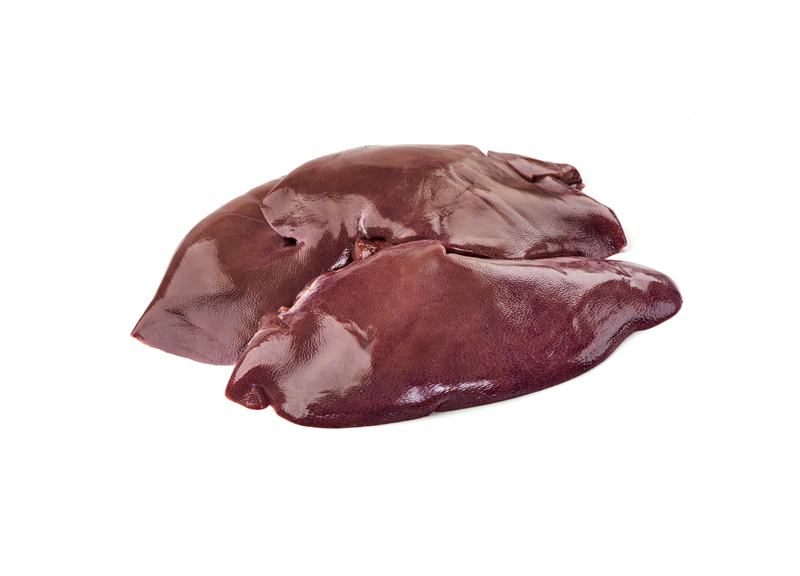 Liver is an important ingredient in BARF diets to provide essential fat-soluble vitamin A and water-soluble vitamins. The liver ratio guideline starts at 5% of the overall daily intake. The 5% liver ratio is a starting guideline and this amount of liver provides more than recommended allowances for vitamin A. For dogs who are sensitive to organs, feeding as low as 2% liver will still provide essential vitamin A. 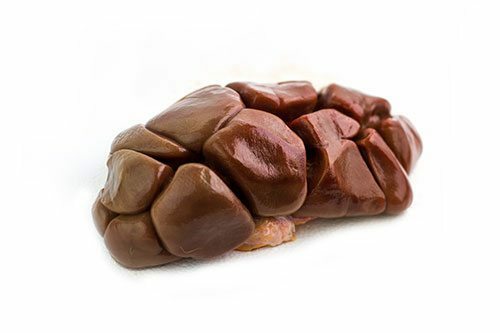 Other secreting organs, such as kidney, are beneficial ingredients in BARF diets to provide essential minerals and water-soluble vitamins. The other organ ratio guideline starts at 5% of the overall daily intake. Other secreting organs are beneficial in completing essential nutrient requirements for dogs. The 5% ratio guideline is a starting recommendation, and more or less secreting organs can be fed to complete nutritional requirements. Vegetables are beneficial ingredients in BARF diets to provide essential nutrients and beneficial phytochemicals. The vegetable ratio guideline starts at 7% of the overall daily intake. Vegetables are beneficial in completing essential nutrient requirements for dogs. The 7% ratio guideline is a starting recommendation, and more or less vegetables can be fed to complete nutritional requirements. Raw seeds and nuts are beneficial ingredients in BARF diets to provide essential minerals, fatty acids, and fat-soluble vitamins. 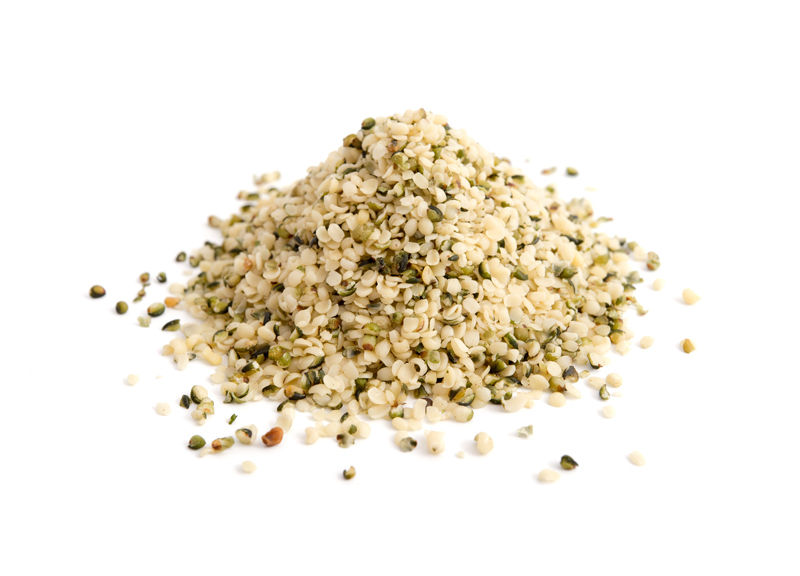 The raw seed and nut ratio guideline starts at 2% of the overall daily intake. Seeds and nuts are beneficial for completing essential nutrient requirements for dogs, but they must be pre-soaked and ground for feeding. Raw nuts and seeds contain phytates which are anti-nutrients that can negatively affect nutritional balance. Soaking raw seeds and nuts reduce phytates and grinding promotes optimal digestion. The 2% ratio guideline is a starting recommendation, and more or less can be fed to complete nutritional requirements. Fruit are beneficial ingredients in BARF diets to provide antioxidants, but they are fed in small amounts due to their sugar levels. The fruit ratio guideline starts at 1% of the overall daily intake. 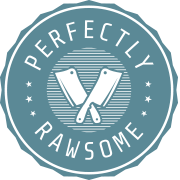 If BARF ratio guidelines are fed without specific raw ingredients, the raw diet will be deficient in a few essential nutrients. The ratio guidelines for BARF are category terms and include a variety of ingredients that provide different nutrients essential to health. Dogs cannot digest plant ingredients. Dogs can fully digest and absorb the nutrients from plant ingredients when they are prepared in a method to support optimal digestion. Puréeing raw, non-starchy vegetables is the easiest and most recommended method of preparation. Additionally, lightly steaming or fermenting vegetables are alternative preparation methods to promote optimal digestion. If starchy vegetables are selected to feed, they must be thoroughly cooked before feeding. Boiling or baking starchy vegetables until fully cooked allows the starch to become digestible for dogs. Vegetables and fruit are not needed for nutrients. It is correct to say that vegetables and fruit are not needed for essential nutrients, but they do play a beneficial role in completing nutritional requirements in diets. 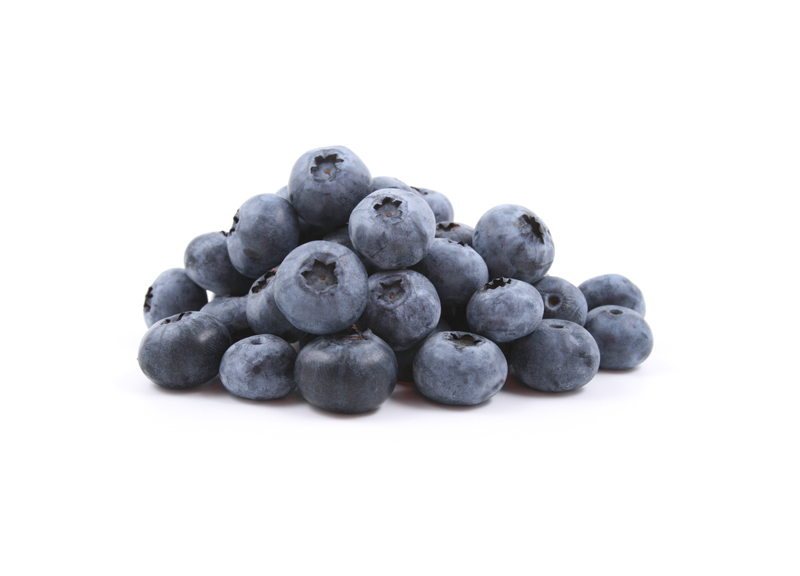 Vegetables and fruit provide carbohydrates which can be used as a source of energy as well as fiber to support vitamin K synthesization and colon health. Vegetables prove useful when completing nutrient requirements in PMR meals. 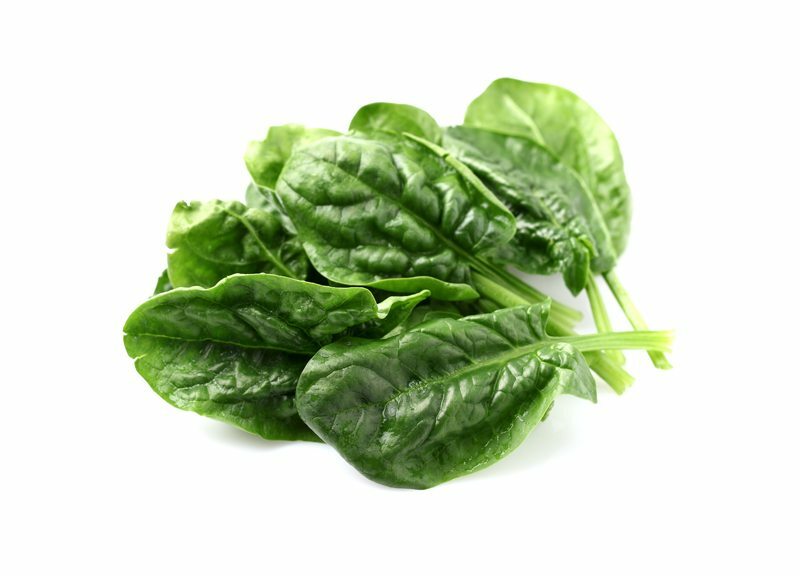 Leafy greens are high in magnesium, which is a nutrient often deficient in PMR model meals. Additionally, specific diets with ingredient restrictions rely on plant ingredients to complete nutritional gaps where needed. An example is low purine diets where organ meats are not fed. Therefore, the use of plant ingredients is warranted to create a complete and balanced diet. Plant ingredients are not beneficial. Vegetables and fruit contain carotenoids, flavonoids, antioxidants, and many other phytochemicals that are beneficial to immune function and health. These phytochemicals are not found in any other food sources other than plant ingredients. Adding vegetables, seeds, nuts, and fruit to a dogs meal is not harmful in any way when dog-safe ingredients are selected. The dog can and will digest and absorb the nutrients from plant ingredients when they are prepared to support optimal digestion. Selecting to add plant ingredients to a dog’s meal depends on individual requirements and how the dog tolerates plant ingredients. Always adjust to the dog’s individual needs. Biologically Appropriate Raw Food (BARF) Diets are a great way to provide dogs a balanced diet with essential nutrients. 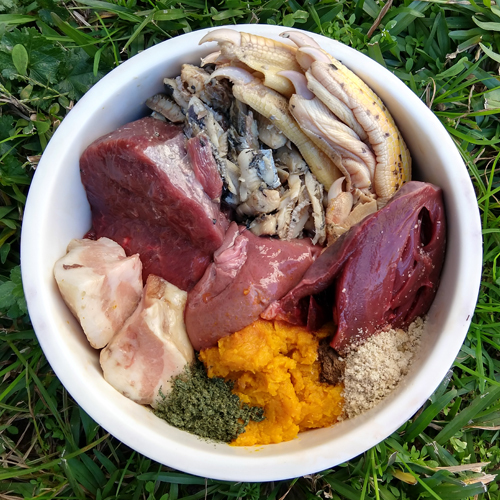 Plant ingredients prove beneficial when completing nutritional requirements for dogs, and a BARF model diet is highly encouraged if wild, whole prey is not fed frequently.